Description: A low growing plant with numerous thorns. 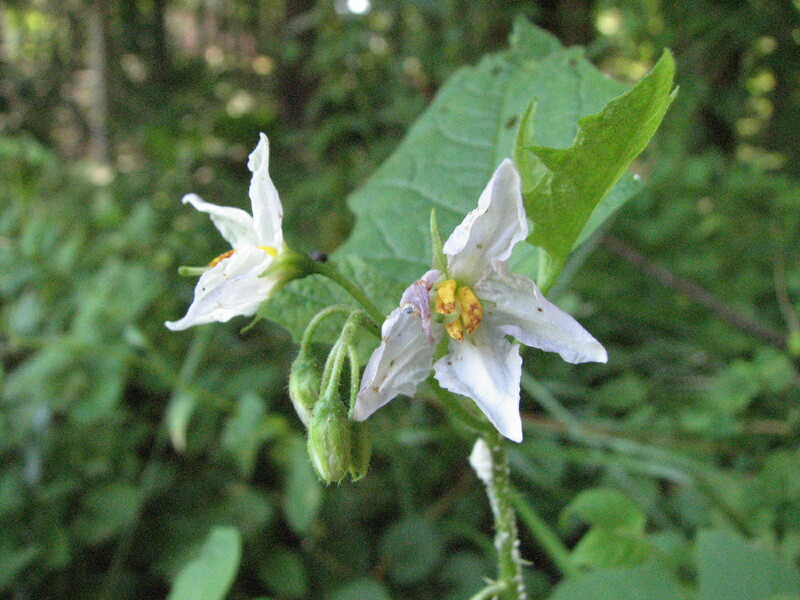 The fruit resembles a small tomato, which turns yellow after a frost. All parts of this plant are toxic. Poisonous: All parts of this plant are toxic. It is in the nightshade family. Other Notes: Insects seem to love this plant. I often see it damaged by insects.